Visitor Visa - A certificate that is inserted in your passport by an Entrance Clearance Officer allowing you to travel to the United Kingdom for the purposes of visiting the UK for no more than 6 months. Nationals of certain countries require a visa. However, European Economic Area (EEA) citizens plus Iceland, Lichtenstein, Norway and Swiss Nationals have the right of free movement and residence in the UK. Although Nationals of the Czech Republic, Estonia, Hungary, Latvia, Lithuania, Poland, Slovakia, or Slovenia do not require a visa, you may need to register under the Worker Registration Scheme. Person's who are Stateless and do not have a Nationality require a visa. If you hold a passport issued by an authority which is not recognised in the UK then you require a visa. As a Visitor, you must be able to support yourself in the UK, without claiming Public funds (state benefits). A Visitor to the UK cannot work (regardless of whether it is paid or unpaid work), cannot produce goods or provide services in the UK and cannot sell goods and services to the public. A Visitor must provide supporting documents with their application forms that demonstrate that they qualify as a visitor and are able to support themselves during their visit without drawing on public funds. For example, bank statements, payslips. 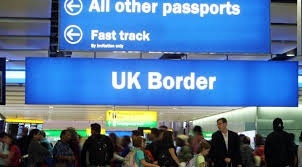 The Visitor must provide evidence that they intend to leave the UK at the end of their visit. For example, a letter from an employer.